Hi, friends! 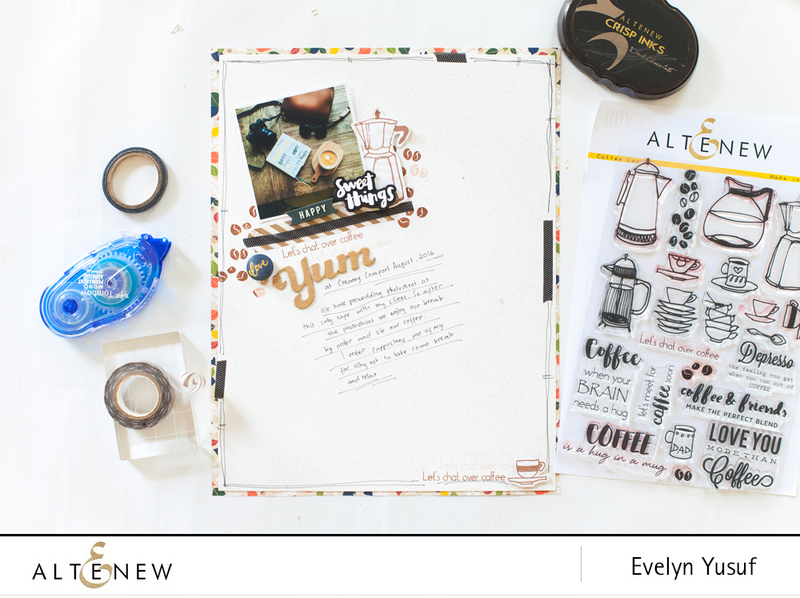 This time, I came up with another layout on coffee using Altenew’s Coffee Love Stamp Set and Dark Chocolate Ink. 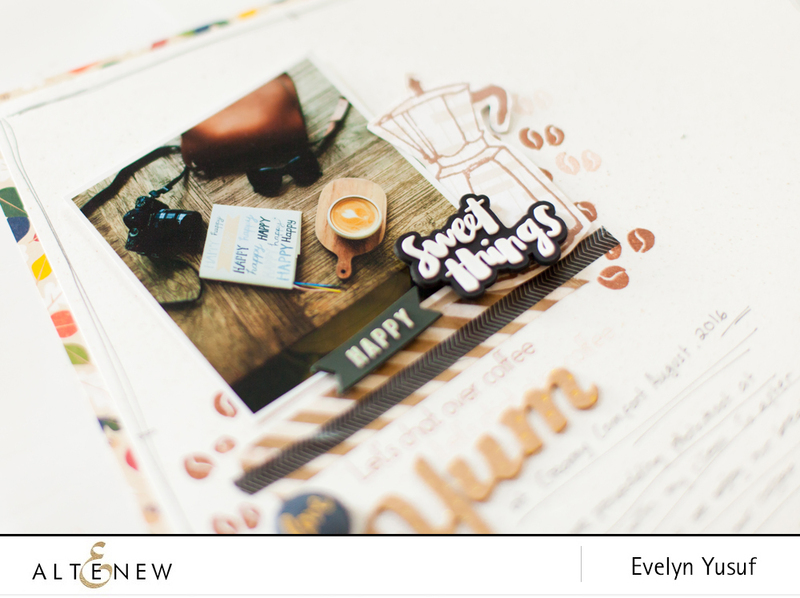 I also have a process video start to finish on how to create this simple coffee layout. 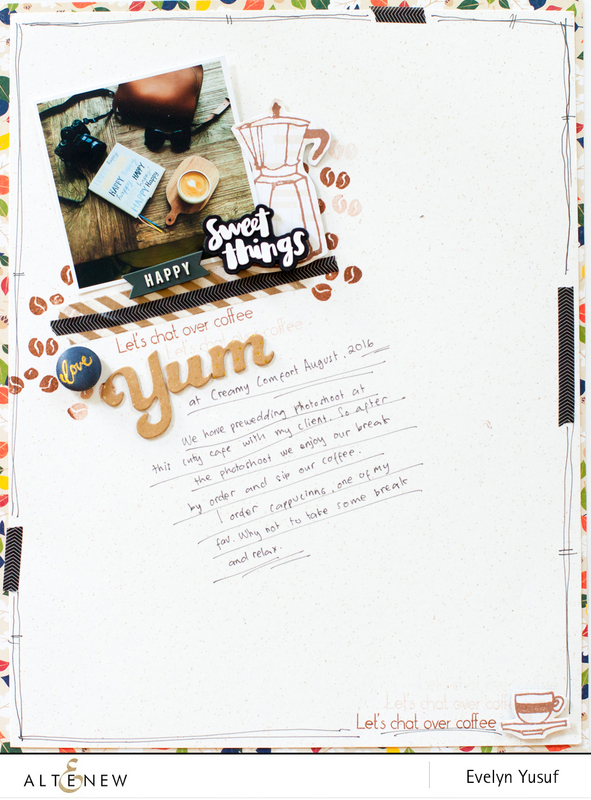 For those who love coffee so much, it’s time to do a memory keeping about it *wink*. 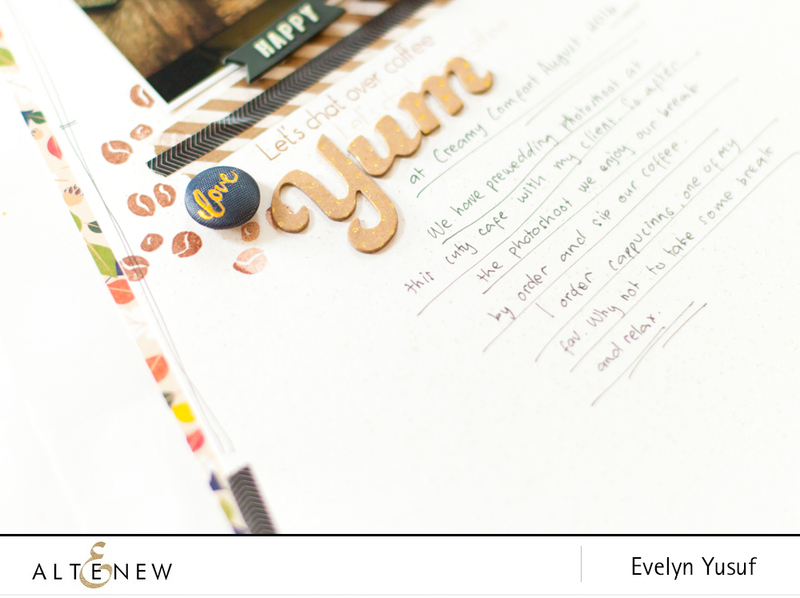 Remember to do some memory keeping, not only about yourself but about your family or friends, you can do keep a memory of sweet things in your life. Happy creating.